We have the honor to add to the line up the cult Birmingham formation Esoteric! Known as pioneers of funeral doom in England, these British gentlemen have been delivering with their music much more than usual genre bands do, leading the listener into mesmerizing and scary depths of inner chaos. 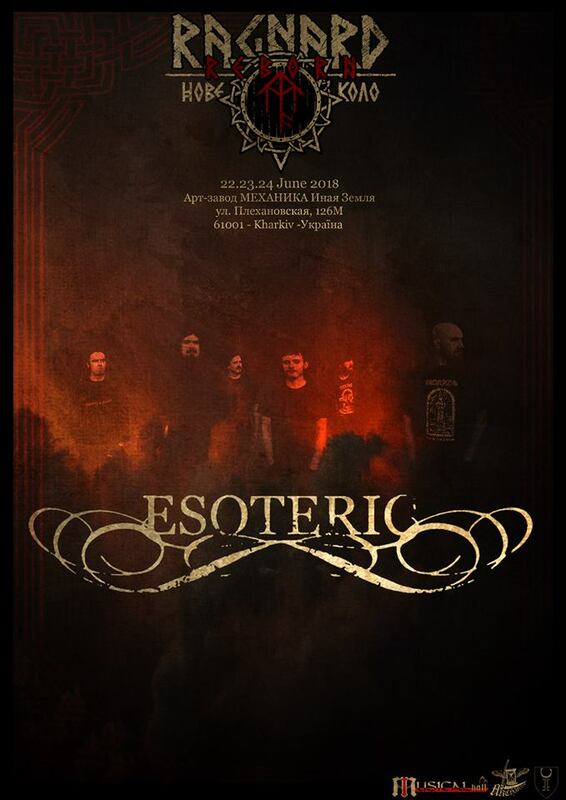 With a flawless discography behind the belt, this summer Esoteric will defend their dark, deep and psychedelic at Ragnard Reborn Nove Kolo fest in Kharkiv! Next Next post: Today we are extremely proud to announce the mythical project Lord Wind! We’re pleased to announce the exhibition of works by Mikhailo Popov within the framework of “History. Art. Tradition” program.